MOVEHOME ESTATE AGENTS... are delighted to present 6 St Joseph's Avenue spanning approx. 495 sq.ft to the open market. Originally a one bedroom home, the owner has transformed this home with an attic conversion spanning an additional c. 290 sq ft that could act as a 1/3 bedroom property. Behind the handsome red brick façade of this charming property, lies spacious proportions throughout with ample storage. 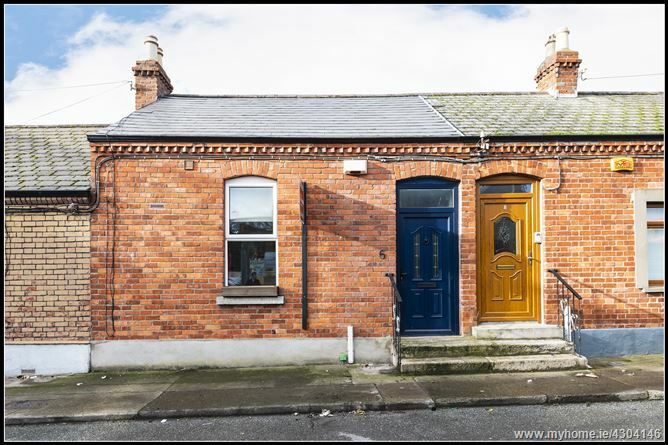 This is an extremely attractive terraced property that's superbly positioned off the busy Drumcondra Road and offers its lucky new owners an ideal retreat from the hustle and bustle of city life. The beautiful 6 St Joseph's Avenue is just a short walk to the heart of the City Centre where every conceivable amenity is at hand. Positioned within walking distance of the City Centre and convenient to the numerous shops, cafes, bars and restaurants Drumcondra Village has to offer. Easy access is enjoyed to the IFSC, East Point Business Park, Dublin Airport, Beaumont, Mater & Temple Street Hospitals, DCU and Trinity and the M1 & M50 motorways. The area is very well serviced by a great public transport system. Drumcondra is also the centre of learning. Several of Ireland's most prestigious educational institutions are within walking distance, including St Patrick's College of Education, Mater Del Institute of Education and All Hallows College, all 3 associated with nearby Dublin City University. The green open spaces nearby and its close proximity to the city make it a unique location. You can walk to Drumcondra Station to use the Arrow rail service and there are also numerous bus routes servicing Drumcondra and Fairview, including a Quality Bus Corridor (QBC). See the online map for full details or call MOVEHOME ESTATE AGENTS ... on 01-8844690 and we would be happy to assist.